Many of the rituals, ceremonies and healing techniques of the ancient Maya have survived in the sacred books, art from the pottery, carvings on the temples and especially the through oral traditions passed down from generation to generation. From his work with local shamans and the study of the ancient books and sites Miguel Angel shares his knowledge of Maya shamanic practices that can be adapted and applied to your daily life.  Each month a new Shamanic Practices session will be offered. Open your heart and mind to accept the true force of Mother Nature. Here you find unlimited power to heal, create abundance, and fulfill your purpose. This is where miracles happen. The Super Natural is always available and in this online session Miguel Angel teaches how to begin removing the limits we have put on accessing this incredible power. As we become more aware of the energies that flow from the Heart of the Sky and the Heart of the Earth we can find ways to reconnect with these two great forces that rule the Universe in the macro cosmos and Humankind in the micro cosmos. In this session Miguel Angel will give you practices to open your awareness to the powerful energy coming through these two forces. All plants; trees, bushes, herbs, flowers, fruits, etc. have a healing spirit within them. To understand and apply this knowledge is the key to helping us and humankind heal. Miguel Angel will give you the key to understanding how to heal with any plant. The Maya describe the Jaguar-Balam as the “Warrior of Light” that lives in our heart. Now is the time to wake up, work with this spiritual force within, and transform all things that limit us in our self-realization process. Join Miguel Angel online for an hour of working with your inner Jaguar. This is a journey to the Heart of the Earth, told through the lives of two great Maya Masters, Hunahpu and Ixbalamke, symbolizing the Sun and the Moon, and their initiation in the Underworld. They were tested by the lords of the Xibalba, and the manner in which they achieved their Spiritual victory is a guide for us today as we face our daily challenges and tests. It is time for a new vision. It is time to look to other dimensions to help us find our way, our true path. The ancient Maya had the gift of vision in their 3 rd eye and could see the spirits of Mother Nature and into many dimensions. There is so much more to life than we can see through our two eyes. Join Miguel Angel as he gives you practices to start to awaken your 3rd eye and broaden your horizons. The Maya shamans knew value of sound vibration for healing. They are always chanting even when doing a simple cleansing. The Maya developed specific Mantras to aid in clearing and opening the 7 Chakras. There is one for each Chakra and in this session Miguel Angel will share and practice them with you. A printed handout will be available to allow you to follow more easily. The Maya had many ways to connect with Spirit and used various instruments in order to deepen this sacred link with the Divine in their rituals and healings. Today’s shamans still use many of the tools handed down from generation to generation. In this session Miguel Angel will explain the use of some of them including copal, herbs and sastuns and show you how you can incorporate them in your practices. Miguel Angel will share his experience of a ceremony to introduce a child to the Cosmic Wisdom through 9 objects placed on a round table. The 9 objects correspond to the 9 months the child was in the womb of his/her mother. The grandparents and parents take part and the child will hear about the sacredness and the use in a practical way of these 9 elements. Animal Totems were very important in the Maya shamanic tradition. There are many different totems with many different attributes. In this session Miguel Angel will take you through the qualities of 4 of them who represent the 4 directions: the Eagle, Jaguar, Serpent and Turtle. Learn about the amazing power of these totems and how to work with them in your practice. Earth, Air, Wind and Fire were understood on a deep level by the shamans and were and important elements in their ceremonies and rituals. Miguel Angel will introduce you to the sacred significance of each element, how they relate to the 4 directions in ceremony and explain how they can be incorporated into your ceremonies and practices. Shamans call on the Maya Masters of Light to protect the people (as well as themselves) from letting in any dark energy into their healings, rituals and ceremonies. In this session Miguel Angel will give insight into these powerful guardians and how to work with them to ensure the best outcome for your work with ceremony and healing.